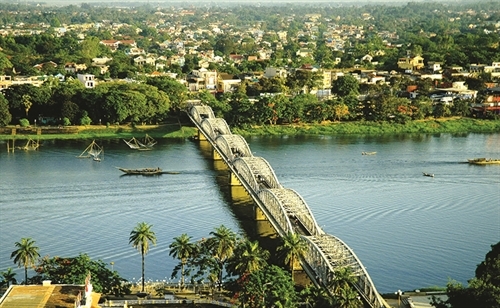 Located in the central key economic region of the country and the East-West Economic Corridor, coastal Thua Thien Hue province shares a borderline of 81km with two Lao provinces of Saravane and Sekong to the west, Quang Tri province to the north, and Quang Nam province and Da Nang city to the south. It has a natural area of 5,054km2 and a population of some 1.15 million (according to the 2017 statistics). It has Hue city, Huong Tra and Huong Thuy towns, and six districts of Phong Dien, Quang Dien, Phu Vang, Phu Loc, A Luoi, and Nam Dong. Thua Thien Hue is home to Kinh (Viet) people as the most populous and four other ethnic groups, including Bru-Van Kieu, Co-tu, Ta Oi and Pa Ko. Local people practice four religions, namely Buddhism, Catholicism, Protestantism and Caodaism. Thua Thien Hue boasts a fairly complete and convenient communication and infrastructure system. It lies on the north-south national highway and railway route. The province has two border gates of A Dot-Ta Vang and Hong Van-Co Tai, Phu Bai International Airport, and Thuan An seaport that can accommodate vessels of up to 2,000 tons deadweight, and Chan May deep-water seaport that serves as a gateway to the East Sea, links central Vietnam with lower Laos, and can accommodate ships of a deadweight tonnage of up to 30,000. With a coastline of 120km, the largest lagoon system in the Southeast Asia covering 22,000ha and beautiful river estuaries, the province boasts big potential for marine tourism. According to Nguyen Thi Bich Thao, Vice Director of the Thua Thien Hue Planning and Investment Department’s Investment Promotion Agency, in 2018 the province granted investment licenses to six foreign direct investment (FDI) projects and three joint-venture projects totaling USD 27.8 million. The newly-licensed projects are specialized in industry, service infrastructure and services. It also permitted two existing projects to add USD 1.13 million to their registered capital, including the Laguna Lang Co project of Singapore’s Banyan Tree Group that registered to add USD 1,125 million to open casinos in its resort complex. “The province currently houses 102 FDI projects with a combined registered capital of some USD 3.5 billion. 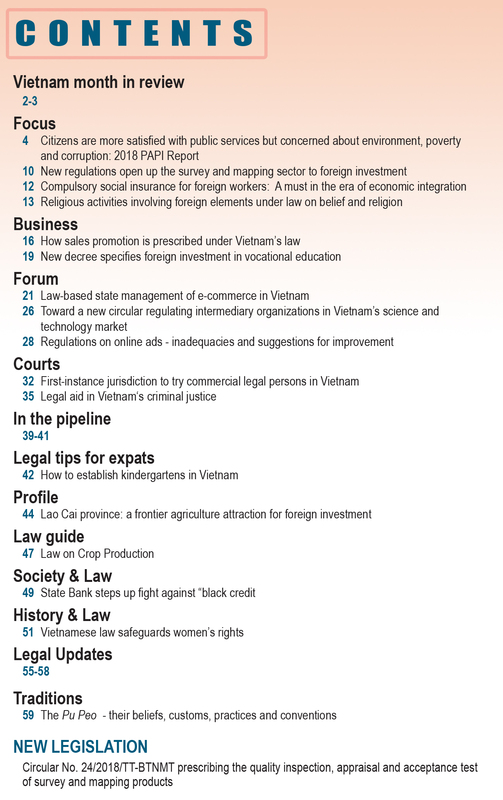 With a USD 2 billion project, Singapore’s Banyan Tree Group is the top investor in the locality”, Thao told the Vietnam Law and Legal Forum magazine. In 2018, with the motto “standing side by side with investors to jointly devote to building Thua Thien Hue”, the province stepped up institutional reform and set up the Thua Thien Hue Public Administration Service Center and Thua Thien Hue Investment Promotion Center. In addition to the Chan May-Lang Co economic zone and A Dot border-gate economic zone, the province is currently home to six industrial parks, namely Phu Bai, Phong Dien, La Son, Phu Da, Tu Ha and Quang Vinh, covering around 27,108ha, and nine industrial clusters. During a recent working visit to Thua Thien Hue province, Prime Minister Nguyen Xuan Phuc asked the provincial authorities to focus on green city development and heritage conservation as well as the development of mechanics, hi-tech agriculture and tourism services. 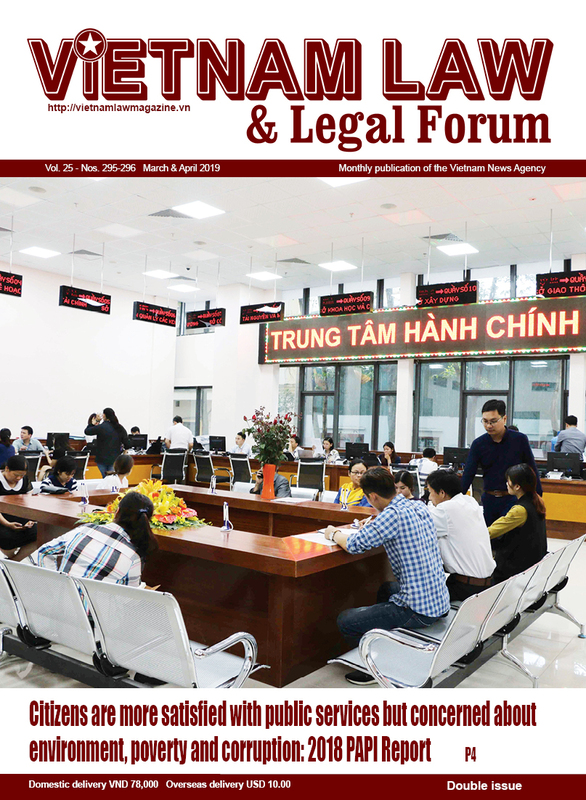 Attention should be paid to building local e-government by developing smart city services which serve as a key foundation for administrative procedure reform, Phuc added. In order to attract more FDI this year, Thua Thien Hue will remove difficulties for licensed FDI projects, set out criteria for investors’ capability and complete the investment procedures. In addition, the province will make public 20 to 30 projects calling for foreign investment and provide support to 18 key projects in completing investment formalities. It will also complete wastewater treatment systems in industrial parks and set up investment promotion teams in the Republic of Korea (RoK), Japan and Thailand. In mid-February 2019, Thua Thien Hue will host a conference on investment and tourism promotion for the central coastal region. Regarding incentives for investors, the province is offering the highest tax and land rent incentives provided by the investment law and providing assistance to priority investment projects in building infrastructural facilities in and outside the industrial parks and speeding up ground clearance. Chairman of Thua Thien Hue People’s Committee Phan Ngoc Tho has reaffirmed the provincial administration’s commitment to improving business environment and simplifying administrative procedures, particularly those for taxation, customs, land, construction, and business registration. The province will apply mechanisms and policies to help investors and enterprises and complete infrastructure of industrial parks, Chan May-Lang Co economic zone, Hue city and Bach Ma ecological tourist zone, he added. Thua Thien Hue is renowned for beautiful pristine beaches and five UNESCO-recognized heritages. They are the Complex of Hue Monuments - a complex of palaces, ancient tombs, temples and shrines - recognized as a world heritage site in 1993; nha nhac (Hue royal court music), recognized as an oral and intangible heritage in 2003; moc ban (wood blocks) and chau ban (royal records) of the Nguyen dynasty, recognized as the world documentary heritage in the Memory of the World Program; the imperial archives of the Nguyen dynasty, recognized as a UNESCO Memory of the World Program in 2017; and the royal literature on Hue royal architecture, honored as documentary heritage by UNESCO’s Asia Pacific Regional Committee for the Memory of the World Program. The province is also rich in craft villages. Among the best known are Hue bronze casting village (in Hue city), Phuoc Tich pottery making village and My Xuyen wood carving village (in Phong Hoa commune, Phong Dien district), Sinh folk painting village (in Phu Mau commune, Phu Vang district), the 150-year-old My Lam conical hat village (in Phu My commune, Phu Vang district), and Bao La bamboo weaving village (in Quang Phu commune, Quang Dien district). Thua Thien Hue has 573 hotels and guesthouses, including 27 hotels with three to five star rating. This year is regarded as the year of the province’s tourism and service development. Thua Thien Hue will continue developing hospitality into a spearhead industry and building Hue tourism brandname “Hue - former imperial capital of festivals and gastronomy”, Tran Viet Luc, head of the Thua Thien Hue Tourism Department’s tourism development research division told To Quoc (The Fatherland) online newspaper. 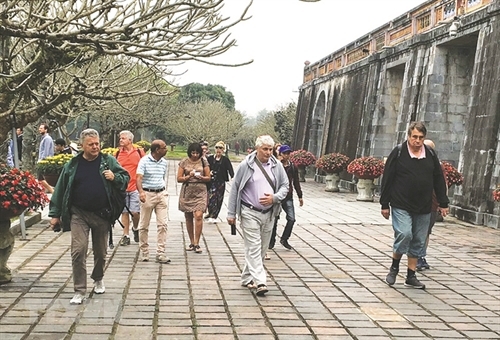 The province is expected to welcome 4.5 to 4.7 million tourists, 40 percent of whom are foreigners, and earn a hospitality turnover of VND 4.7 to 4.9 trillion this year. 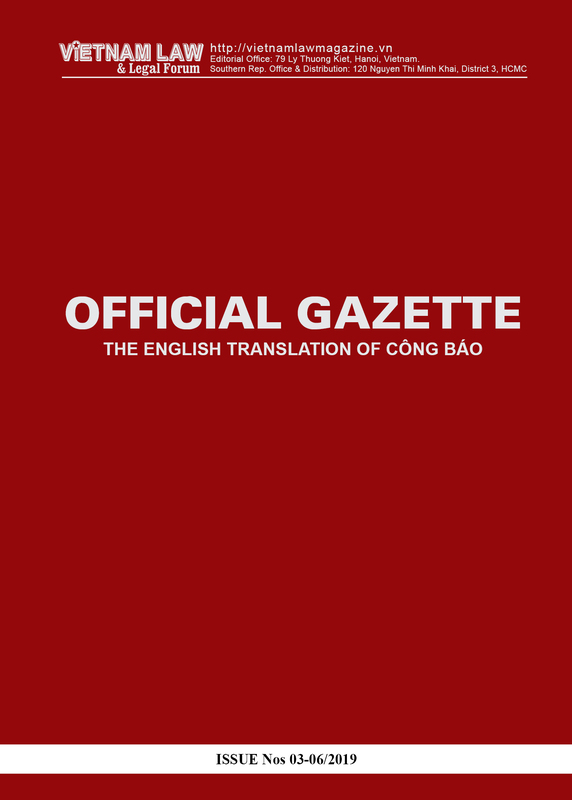 To the target, the province’s hospitality sector will take part in Hanatour International Travel Show 2019 in the RoK and Travex and Jata fairs in Japan. It will make films about Thua Thien Hue province and the 2019 Hue traditional craft festival to be introduced on social media and introduce local tourist destinations and services in English, French, Korean and Japanese at domestic and foreign fairs and seminars. It will also plan to organize Hue International Marathon and Coupe De Hue Cycle Race 2019. In addition, the province will develop heritage tours to explore cultural and historical relics, ecological and convalescent tours and MICE (meetings, incentives, conferences, and exhibitions) tours. The province is luring investors in building new tourist sites and products in coastal areas and lagoons in Chan May-Lang Co and Bach Ma areas.